I love summer flowers… Bright, beautiful flowers that say “welcome”! 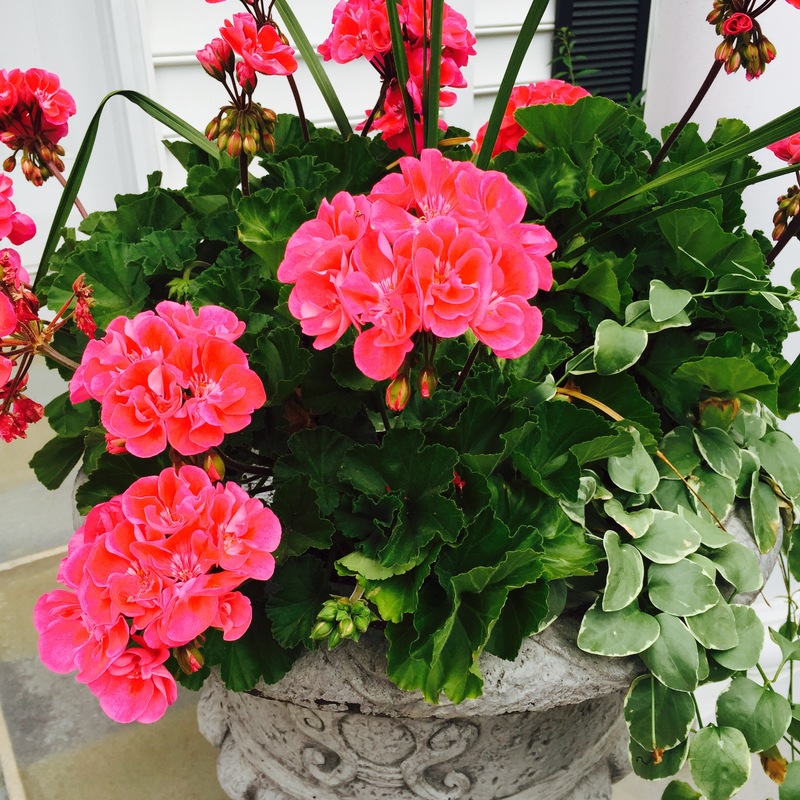 Every year I seek out geraniums….either pink or red, but I do stick with one color theme each year! I always plant tall ornamental grass, variegated (two-tone) Vinca and geraniums in one pot so that you get height, a vine that travels and a pop of color! Don’t forget to feed your potted plants with Miracle Grow once a week. It does help a ton!